You and your brand-new spouse won't be the only things glowing on the big day! Try these wedding lighting ideas to bring an irresistibly romantic glow to your ceremony or reception space. 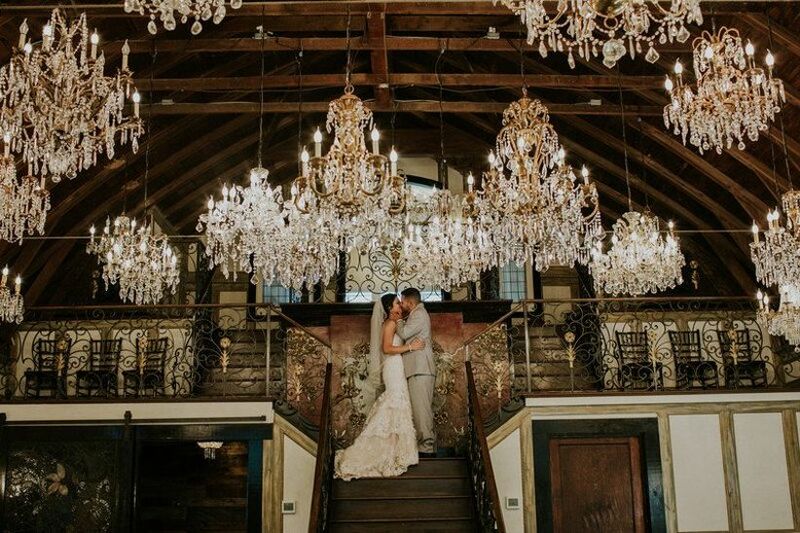 Bring a burst of romance to your big day by incorporating wow-worthy light fixtures into your wedding decor. 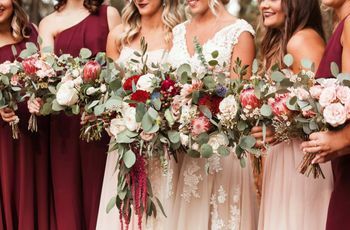 We're sharing our favorite wedding lighting ideas to *spark* your interest — from strands of twinkling lights to clusters of flickering pillar candles, these wedding light decoration ideas give a whole new meaning to the term "setting the mood." 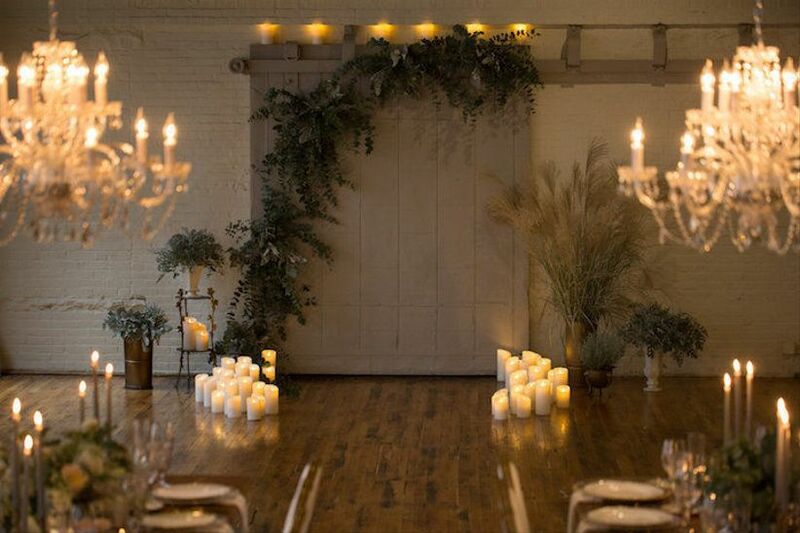 See 20 of our favorite romantic wedding lighting ideas below. 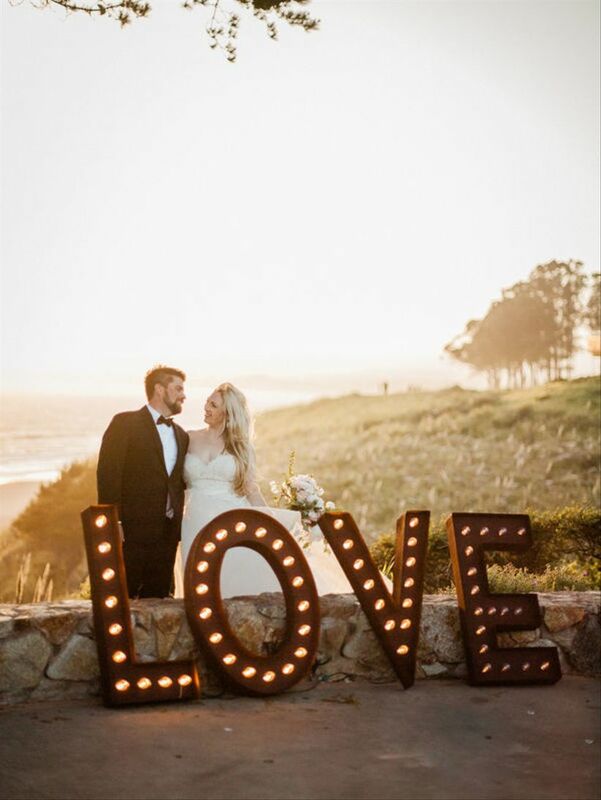 Let everyone know loud and clear that you've found the one with giant marquee love letters! 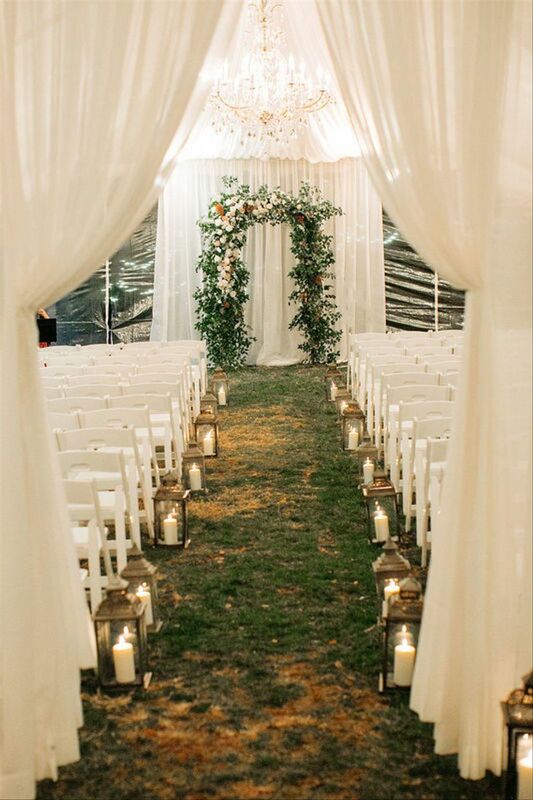 Decorate your ceremony aisle with candlelit lanterns to evoke a romantic and cozy setting. 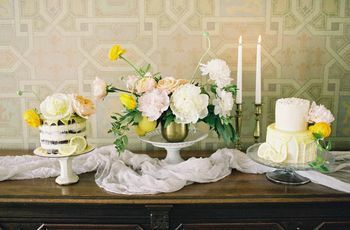 This is one of our favorite (and easiest) wedding lighting ideas to recreate at nearly any type of venue. 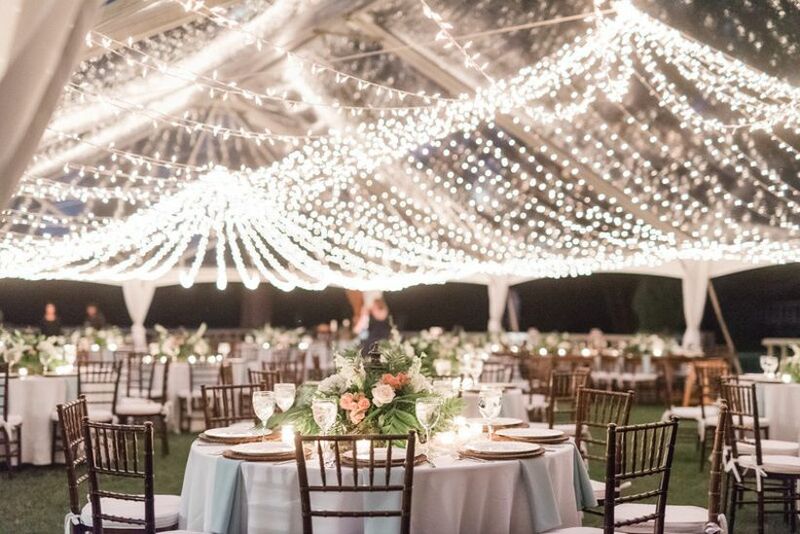 Whether you're getting married indoors or outdoors, strands of bistro lights will bring instant charm and character to your venue. 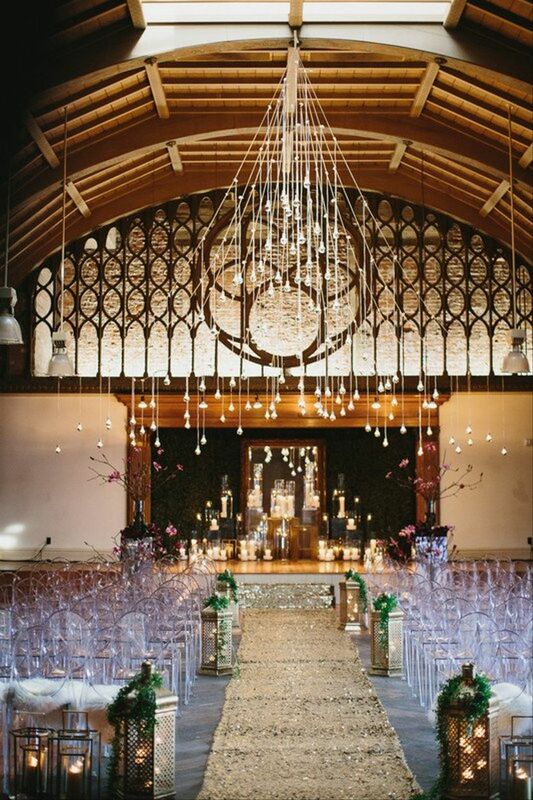 Suspend them over your wedding lounge area, dance floor or reception tables to create a twinkling canopy of lights. For the ultimate wow factor, accent a clear-top reception tent with dozens of draped light strands. It will feel like you're celebrating under a sky full of stars! Edison bulbs are a sleek and trendy option if you love modern style. 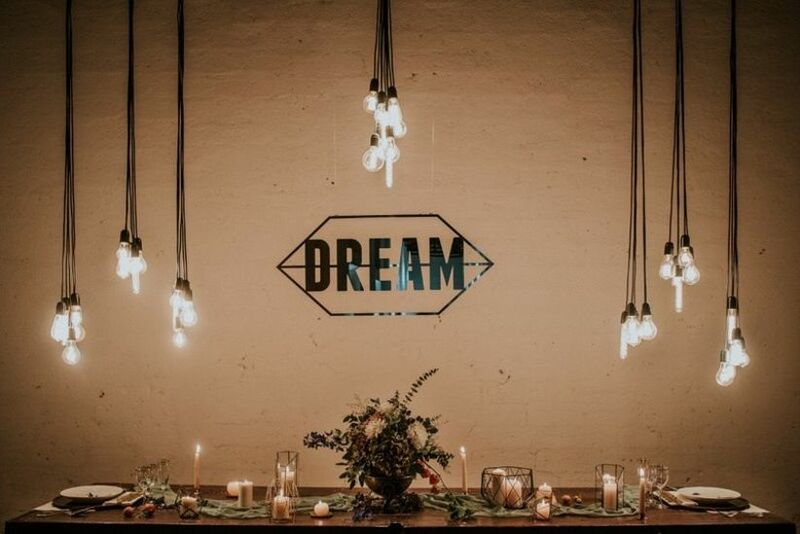 Hang them vertically from the ceiling on long cables to create an industrial-inspired backdrop for your ceremony or reception. 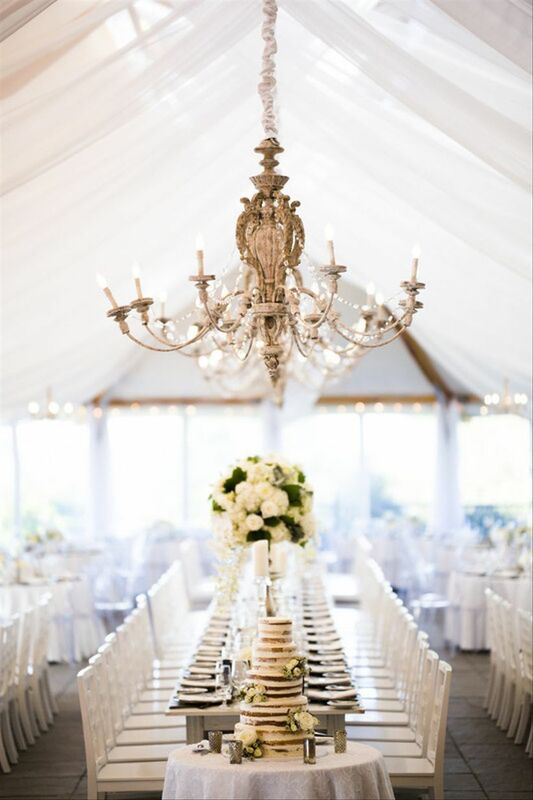 Crystal chandeliers bring a luxurious and dramatic spin to your wedding decor. 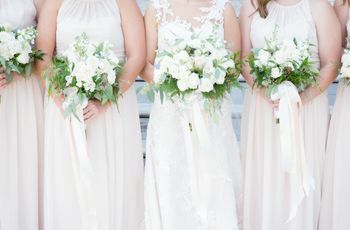 Pair them with elegant white ceiling drapes to create a fairytale-worthy look. Romantic with a rustic twist! 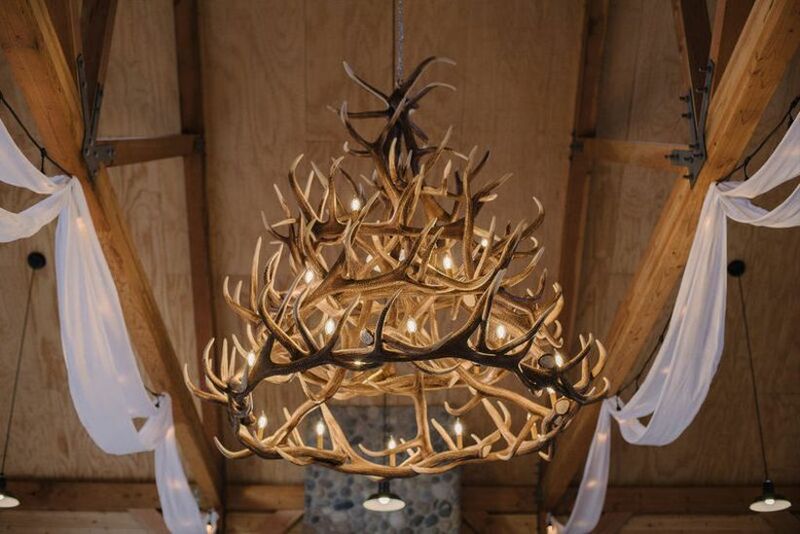 An antler chandelier looks right at home inside a barn or countryside wedding venue. Make your wedding ceremony seem extra-intimate by surrounding the altar with clusters of pillar candles and lush greenery accents. 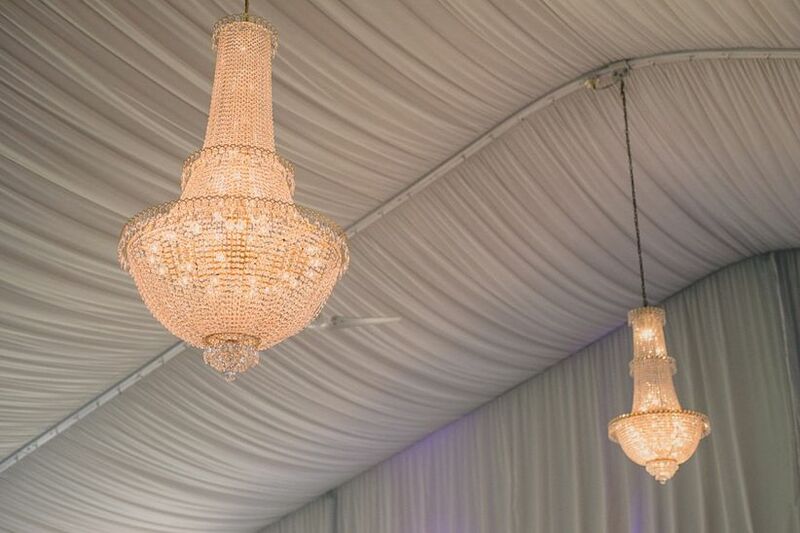 Traditional chandeliers kick things up a notch. A custom gobo is one of the best wedding lighting ideas if you're looking to add an ultra-personal element to your wedding decor. 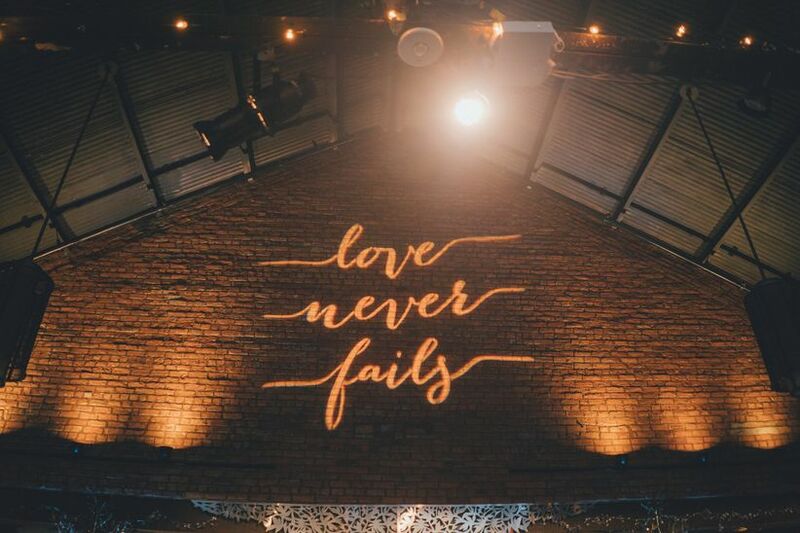 Project your initials, wedding date or a sweet saying, like "Love Never Fails," onto an empty wall or your dance floor. 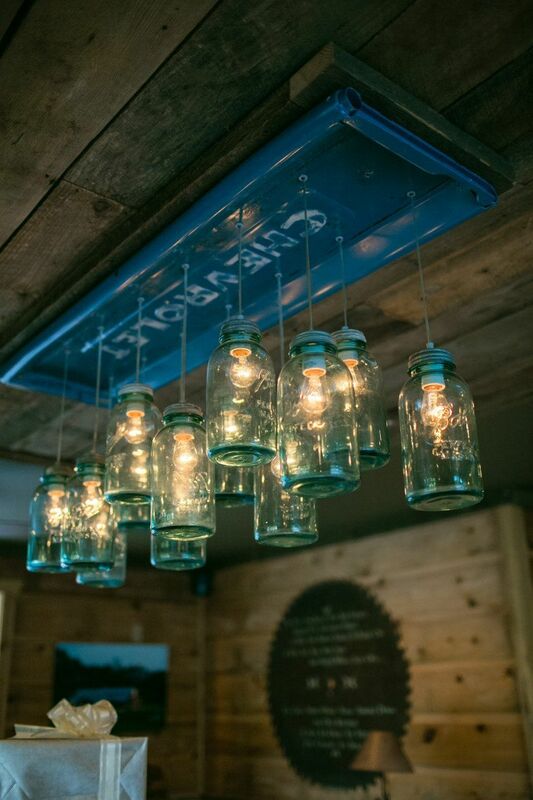 A quirky mason jar chandelier is fitting for a vintage or rustic chic wedding. 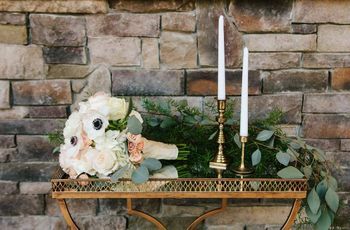 We love seeing this country-style accent repurposed in a different way (instead of just for wedding centerpieces!). 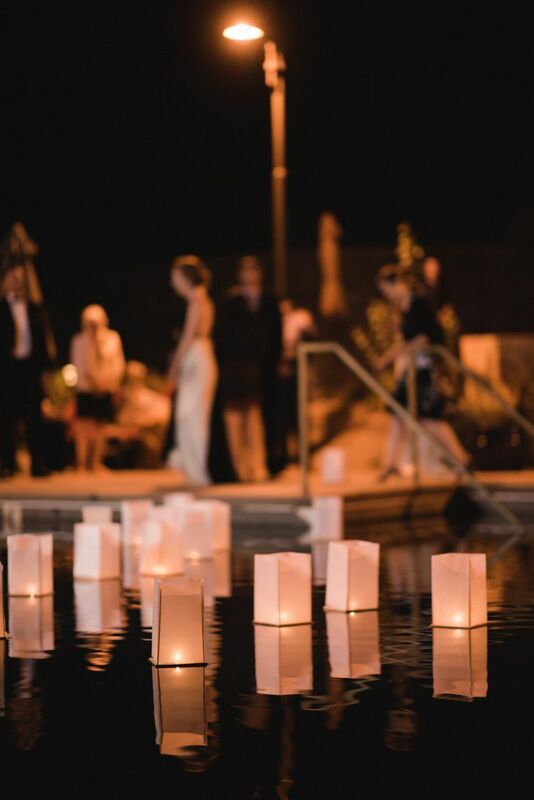 Floating luminaries create an oh-so-magical effect if your venue has a pool, fountain or other water feature. You'll need paper lanterns, votive candles and styrofoam to keep them afloat! 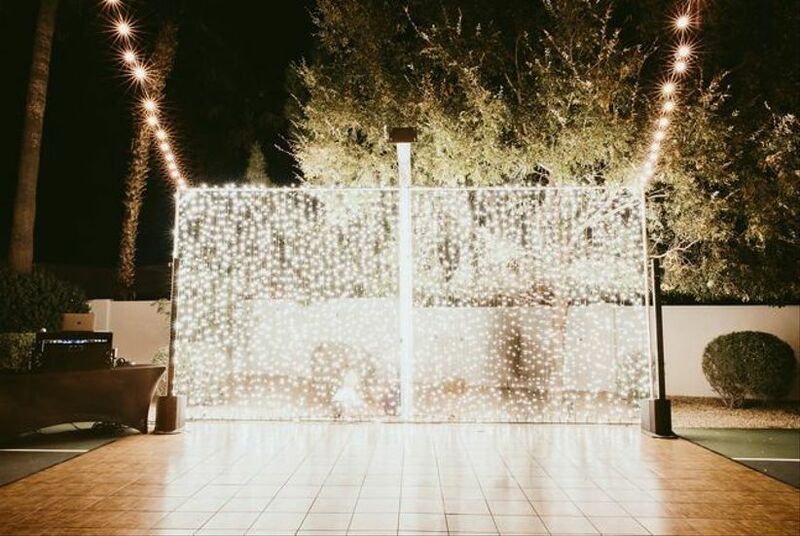 Round up your guests and dance the night away in front of an illuminated wall of string lights. 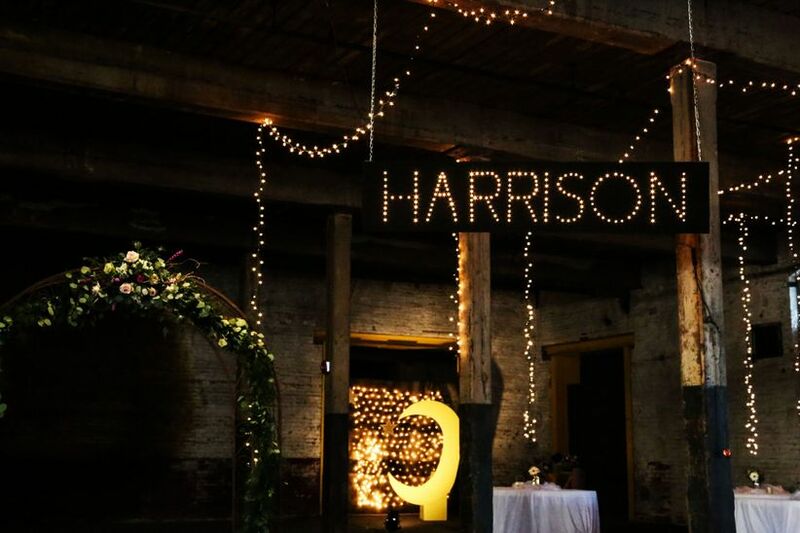 Show off your last name with a glowing sign featuring dotted letters. It's like Lite-Brite for your wedding — but better! Why stop at just one chandelier when you can have dozens? This gorgeous setup reminds us of the famous Hall of Mirrors at Versailles. 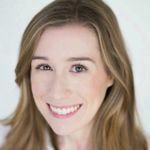 If your venue doesn't have chandeliers already in place, look into renting them from a local event stylist or decor company. Chandeliers with light brown patinas look lovely if you're going for a shabby chic or French country aesthetic. 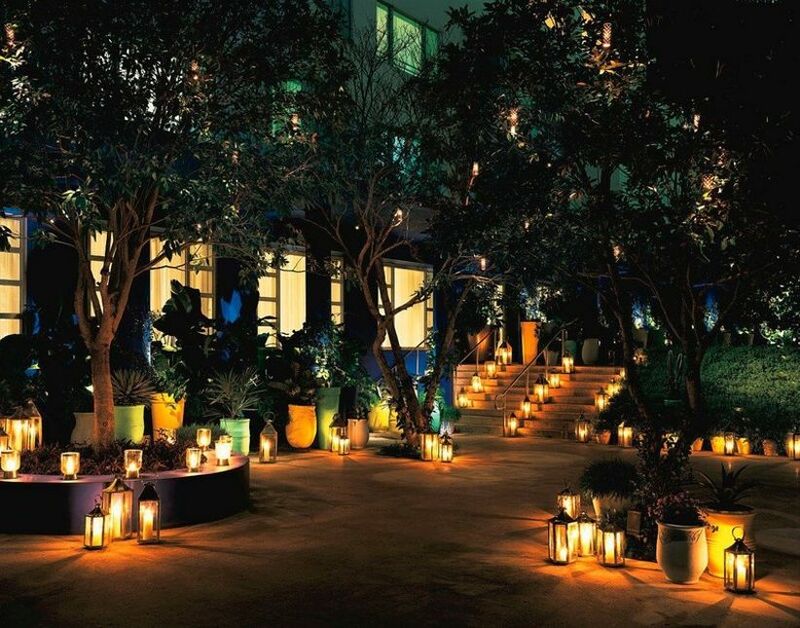 Use lanterns to illuminate the main walkways of your venue to make it easy for your guests to navigate around the space after dark. 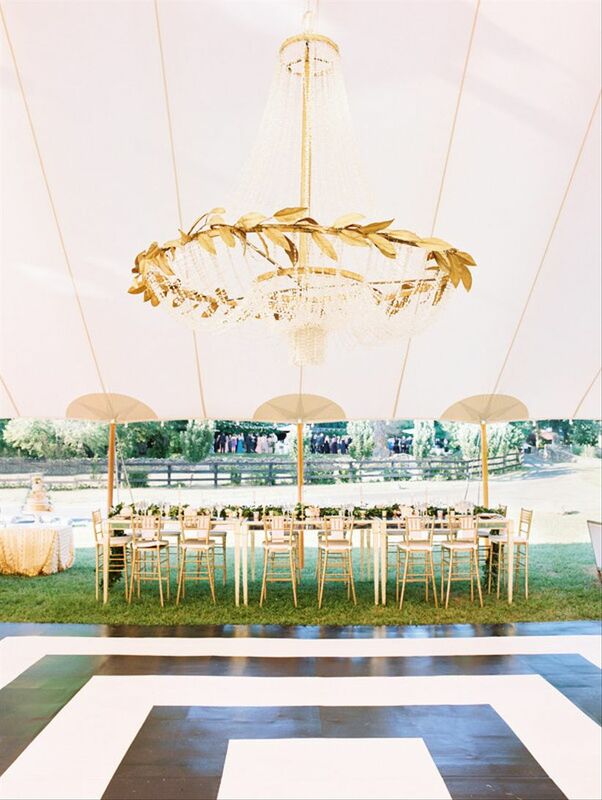 A halo of gold leaves encircling a classic chandelier is one of the simplest and most elegant wedding lighting ideas. This opulent space is giving us Grecian goddess vibes! If your venue has high ceilings, accentuate them with an eye-catching pendant light installation. 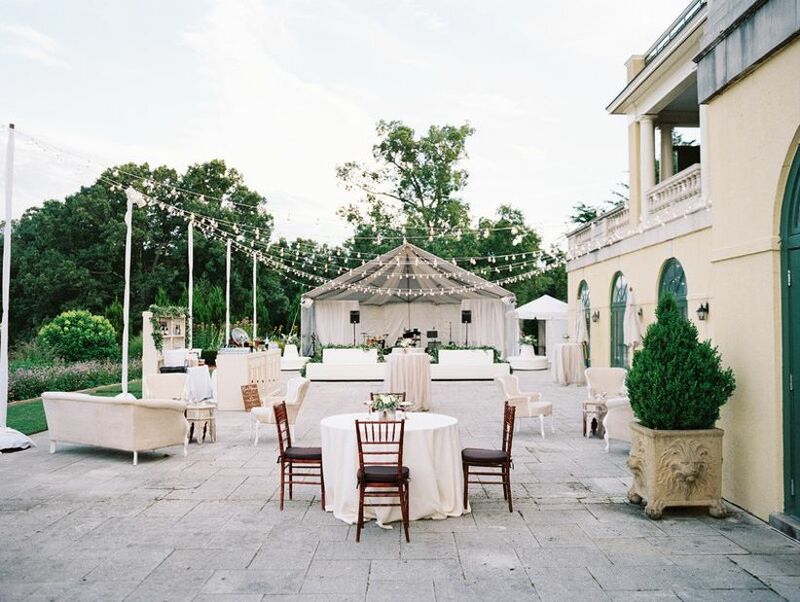 Add ghost chairs and metallic gold accents, and you have the contemporary wedding space of our dreams. 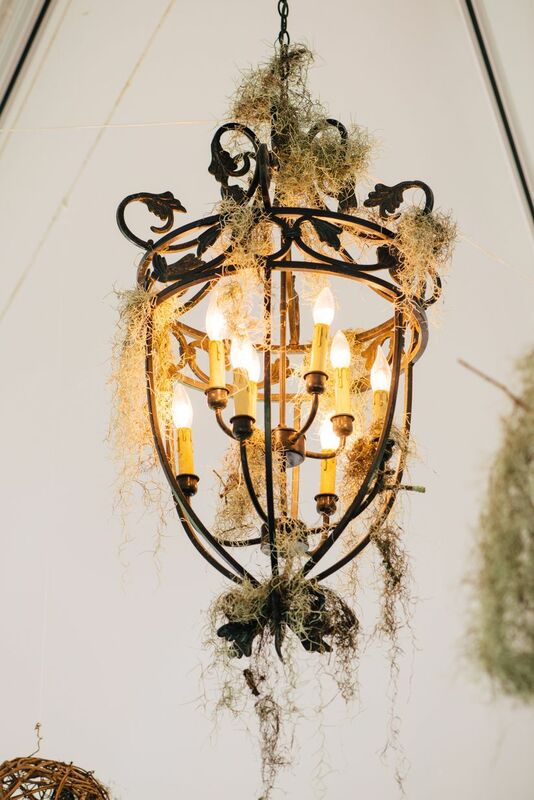 Spanish moss brings Southern flair to a brass chandelier, but you could recreate a similar look with other greenery such as eucalyptus or olive leaves. 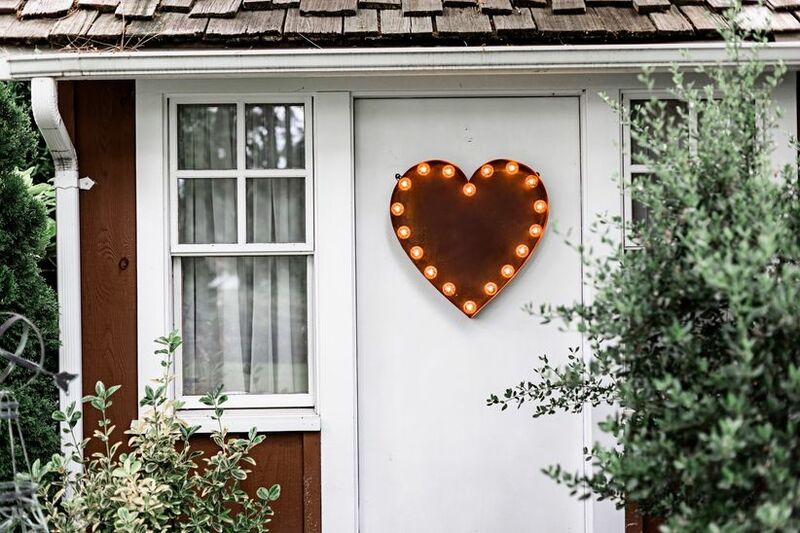 How cute is this heart-shaped marquee light sign? It's a perfect accent if you're looking for something simple yet sweet. 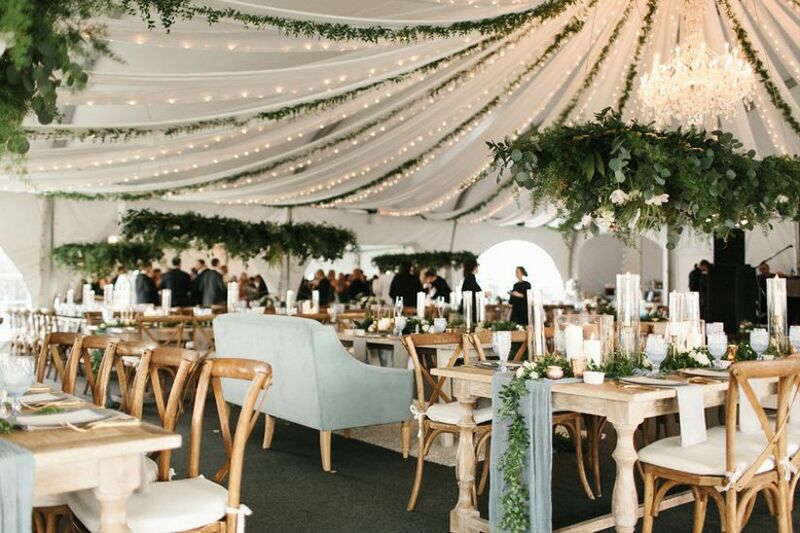 Place a marquee heart anywhere that needs a decorative boost — above your sweetheart table, dessert bar, or venue entrance.